Dark circles and under-eye bags can form for a variety of reasons. It can be thinning skin, lack of fat, hyperpigmentation, or even skin conditions like rosacea. Sometimes, they’re caused from lack of sleep and sometimes they’re simply a result of natural aging. Regardless of their reason for being there, you don’t have to just accept them. 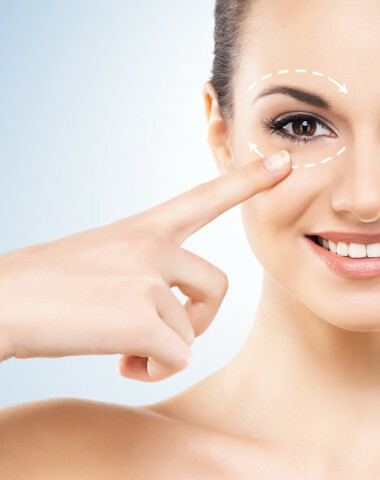 At Rao Derm, we understand what under-eye bags and dark circles can do to your self-confidence. When you want to smooth the skin around your eyes and erase the signs of aging they create, we can help. If people keep telling you that you look tired, or if you look in the mirror and find an older, tired-looking person staring back at you, it could be that the dark circles under your eyes are to blame. Although not getting enough sleep can be a factor in the development of dark circles, a number of other factors contribute to the appearance of the circles, including the thickness of your skin, the size of your blood vessels and pigmentation. Although there can be many causes of undereye bags, what is important is the realization that there are ways of treating the condition. Dermal fillers, sometimes called injectables, are a common cosmetic treatment for under eye bags and dark circles. Injectable serums and facial fillers add volume to saggy areas of skin, eliminating fine lines and wrinkles and smoothing out extra skin. Many facial fillers also help fight the signs of aging, boosting the production of collagen and elastin, proteins that help keep your skin healthy and elastic. While you can use facial fillers to improve under eye bags no matter what their cause, it’s exceptionally effective on dark circles resulting from hyperpigmentation. Our chemical peels give your skin a deep and thorough exfoliation, removing dead and unhealthy skin cells in order to expose the fresh, new skin beneath. When skin is damaged in some way, chemical peels can sometimes eliminate the issue by stimulating new skin growth that comes in clear and healthy. After your skin heals from the peel treatment, your new skin is stronger and thicker and less likely to form those pesky bags. 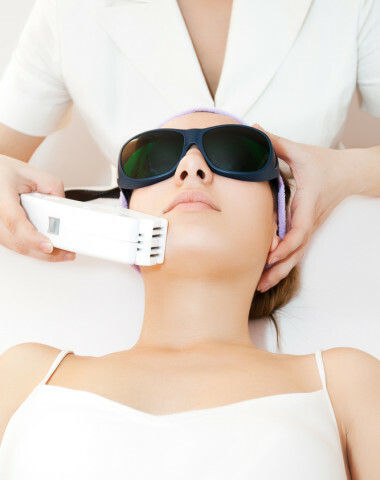 Although an intense pulsed light or IPL treatment also uses light to rejuvenate the skin and to help remove dark under-eye circles, it’s not the same thing as a laser treatment. While laser skin resurfacing can help reduce pigmentation and thicken the skin, an IPL treatment is a better option for people who have small blood vessels close to the surface of the skin that are causing dark circles and eye bags. IPL treatments don’t damage the outer layer of skin the way laser treatments do but will close off any capillaries or vessels just below the skin’s surface, causing them to fade from view. 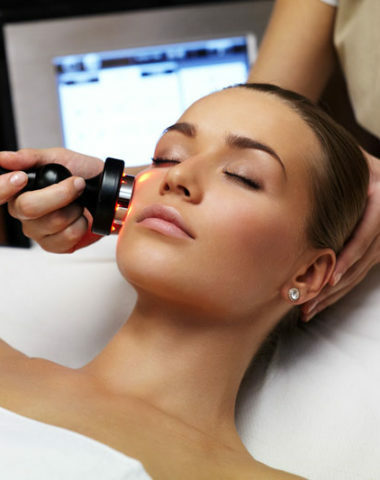 You’ll most likely need several treatments of IPL to get the best results. Whether your dark circles and under eye bags are mild or severe, they can benefit from a professional skin care regimen. We offer a range of skin care products from a skin care specialist for your specific skin care needs. With modern, innovative skin care technology, you can find products made with nutrient-rich antioxidants that fight against the signs of aging, improving your skin’s texture and elasticity. Our team is committed to working with you to develop a synergistic approach for enhancing your skin’s health. We encourage you to attend a free consultation with Dr. Rao where he will assess your situation and discuss treatment options. We invite you to experience the rewards of a welcoming environment where you can expect to be listened to, understood, and delighted with the outcome. Use the form below to book your consultation today. An extraordinary injectable for light dermal filling and skin redensification. Redensity I is a combination of injectable dermal filler and mesotherapy. Loss of hydration and luminosity causes our skin to look dull and tired at any age. Fine lines, wrinkles and darkness start to appear, your complexion dulls and the texture of your skin becomes uneven. Redensity I is a light filling treatment consisting of microinjections performed evenly across the face, neck and hands. Its’ select ingredients of hyaluronic acid, amino acids, and vitamins work at a much deeper level, giving an immediate, cumulative and most importantly a natural result. As we age, cells naturally start to reproduce more slowly and produce less collagen and elastin. So inevitably, skin becomes thinner, losing elasticity and luminosity, while wrinkles deepen, complexion dulls, and your skin becomes uneven. The exclusive formula of Teosyal Redensity I is the balance between Injectable Filler and Mesotherapy. It redensifies your skin, bringing backs its ability to reflect light and supplying an immediate, cumulative, visible, and – most importantly – natural result! This procedure is a great choice for the face, neck, décolleté, and hands – all areas that are fragile and often ignored by traditional treatments. Redensity I is a medical-grade treatment that consists of micro-injections performed evenly across the area of concern to spread the dermal restructuring complex evenly into the skin. Results are evident several days following the treatment and are cumulative with each session. Who is best suited to use Redensity 1 treatment? This light filling procedure is suitable for anyone in any age category who has noticed the following signs of aging begin to appear and develop: tired, drawn features, loss of tone and radiance, wrinkles, and lines. It is both corrective AND preventative! The treatment plan is easy: 3 appointments 3 weeks apart. It is both corrective and preventative without any social downtime. We welcome you to come in for a free consultation. Beautiful luminous skin awaits you. The Power of your Blood! Platelet Rich Plasma (PRP) has become a highly sought-after non-surgical procedure for facial and skin rejuvenation. The treatment uses your own blood platelets to stimulate new cell growth, helping to improve your complexion, skin texture and to restore lost facial volume. The concentrated platelet rich plasma contains increased concentrations of certain growth factors and proteins that promote new capillary formation, collagen production and damaged tissue repair. These bioactive growth factors facilitate accelerated tissue repair and promotes skin rejuvenation. PRP stands for Platelet Rich Plasma. It is also known as the Vampire Face Lift. It involves blood being drawn from a patient, and the blood is then put into a centrifuge to separate the platelets and serum from the blood cells. The resulting concentrated solution is enriched in platelets and growth factors. Once this solution is injected into the skin, it can dramatically aid in tissue repair and promote collagen. 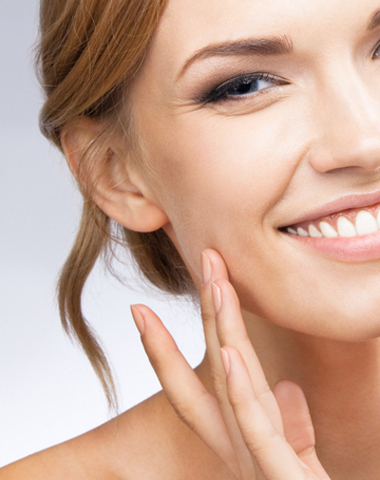 How can PRP be used to enhance your skin and appearance? Usually 3 PRP treatments spaced 4-6 weeks apart are recommended for ideal results. Hyaluronic acid fillers, such as Restylane and Emervel, are made of solid material that fills lines and wrinkles. These fillers are quick fixes to soften deeper lines and folds. They usually last 6-18 months and a repeat treatment is then required to fill the area again. PRP on the other hand stimulates your own collagen for total facial rejuvenation. PRP is used for individuals to volumize their faces by plumping out cheek indentation, soften under eye hollows, address hyperpigmentation, and improve the overall skin tone and texture. Both PRP and fillers can be used in conjunction as they supplement each other to give the best final outcome: a more youthful looking face. Platelet Rich Plasma Therapy (or PRP treatment) is rapidly becoming a must have procedure if you wish to stay young. It is a great maintenance and treatment choice for all individuals as it harnesses the natural forces of your body. What does PRP therapy involve? PRP therapy involves using blood samples taken from patients. These samples are then placed into a centrifuge, which is used to separate the platelet plasma. The platelets contain growth factors and those are then injected into areas where they are needed in order to encourage the production of new collagen, keratin and more. If you undertake PRP therapy, you can expect to start seeing results within the first few weeks. Many patients report that they look and feel generally healthier, with glowing, vibrant and healthy skin. These benefits can last for long periods, potentially as long as 18 months. PRP is also a very non- invasive procedure. It is well regarded by the scientific community and there is ample evidence to support its effectiveness. With all this in mind, it makes the ideal choice for anyone who is looking for an effective and non-invasive solution to treat wrinkles and other problems. PRP is also commonly used to treat sports injuries, it can be effective against chronic pain and it is used to accelerate healing and recovery following surgery. It is increasingly being sought out for cosmetic purposes now too and for literally reversing the aging process, by allowing patients to ‘heal themselves’. Book your PRP consultation by filling in the form below. Can you believe that we can now give you a nose job without breaking your bones or using a scalpel? This can be achieved with a careful and accurate injection of hyaluronic fillers. This procedure allows us to correct imperfections after a surgical Rhinoplasty, straighten noses and even build up the nasal bridge. It can optically make the nose look smaller, shape the nostrils, as well as define the nasal tip. It takes only minutes and there is no pain or side effects. The nose is the most central and prominent feature on the face; however, it shouldn’t be the first feature that attracts an onlooker’s attention. 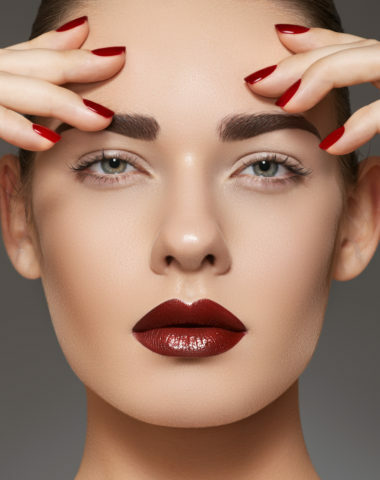 You can have a stunning pair of eyes or sculpted cheekbones, but these facial features can be overlooked by others if your nose is not in balance with the rest of your face. Like everything else, noses come in all shapes and sizes, but by using our non-surgical rhinoplasty procedure, the nose can be reshaped through the use of dermal fillers. Invasive rhinoplasty surgery is no longer the only way to develop better facial symmetry; Our nonsurgical rhinoplasty procedure allows you the chance to create subtle changes without having to commit to the more invasive, permanent surgical option. Our non-surgical nose job can be performed in less than 20 minutes and will deliver instant results tailored to your needs. Best of all, the procedure is less expensive than surgery and also prevents the side effects associated with it, such a scar formation and loosening of nasal cartilage. A very round or bulbous nasal tip can be surgically refined and sculpted to create a more aquiline, refined and attractive appearance. Slight bumps or deviations can be managed, albeit temporarily, by injections of fillers to camouflage or disguise the appearance of the irregularity. Correcting asymmetry of the nose by adding filler to select areas to create a more symmetrical look. If the shape of your nose has been damaged due to injury, we can use non-surgical rhinoplasty to address the issues. 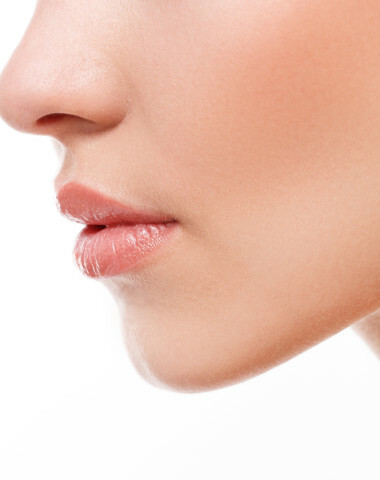 The tip of the nose can be lifted or raised by inserting filler into the tip of the nose, giving it a lifted appearance, which results in better symmetry and more defined contours of the nose. After the procedure, patients can resume their normal activities right away. One can usually see results of the filler insertion immediately, there may be some swelling but that will improve in 24 -48 hours. How Long Do Non-Surgical Nose Jobs Last? Non-Surgical nose job results typically will last up to 1 year. We advise that clients return for maintenance before the 1-year mark in order to maintain the overall look, contour, and shape created for the nose with the dermal filler. Many different ethnic backgrounds may pursue non surgical nose jobs. Asian patients, in particular, are interested in improving the nasal bridge while African-American patients may desire modification of their nasal tip. We can definitely review the needs of all ethnic groups to see if injection of hylauronic acid can enhance the nasal appearance. How Do I Schedule a Non-surgical Nose Job Consultation? Dr. Rao offers a free consultation for clients, so we welcome you to book one by completing our Contact Form below. When you arrive for your consultation, the Dr. Rao will personally meet with you to determine whether you are a good candidate and review the risks involved. Patients typically find the non-surgical nose job to be an easy, quick, and exciting process that results in an aesthetically beautiful and pleasing appearance. With aging and sun exposure, our faces slowly loose fullness, giving us that exhausted, sallow look..
Today, we have advanced dermal Fillers that restore volume allowing for immediate facial rejuvenation. At Rao Dermatology, we can offer a variety of facial fillers such as Juvederm, Emervel, Revanesse, and Radiesse. With the expert skills of our luminary injectors, we can give you a natural soft lift and fullness that will instantly refresh your look. Dermal fillers are injectables that use either natural or synthetic hyaluronic acid to plump up your skin. In contrast to neuromodulators, dermal fillers create volume and fullness which achieve a natural, youthful appearance and fill in thin lips, hollows around the eyes, or gauntness in your temples. The results with dermal fillers are instantaneous and long-lasting (three months to two years). We often use dermal fillers in combination with neuromodulators to achieve the best results since they each have different strengths. We use both natural and synthetic fillers at Rao Dermatology that produce superior results in combination with our doctors’ skill, technique, experience, and training. Offering Juvederm®, Restylane®, Revanesse, and RADIESSE® dermal fillers, our doctors will assess your skin and recommend the filler best suited to your skin and risk tolerance. Juvederm® is an injectable gel dermal filler (containing lidocaine to reduce discomfort) that uses natural hyaluronic acid to restore youthfulness. Softening lines and wrinkles and plumping up lips, Juvederm® produces natural, graceful results and lasts between one and two years. Restylane® is also a natural filler utilizing hyaluronic acid with various gel types to offer a variety of fulness and firmness options tailored to your face and your goals. Restylane® has two decades of innovative research and development that offers low risk and quality assurance. Revanesse line uses Thixofix cross-linking technology, a synthetic filler, to delay your body’s natural breakdown of hyaluronic acid while also stimulating your skin’s collagen production. As a result, Revanesse is more durable and longer-lasting than its natural filler counterparts. 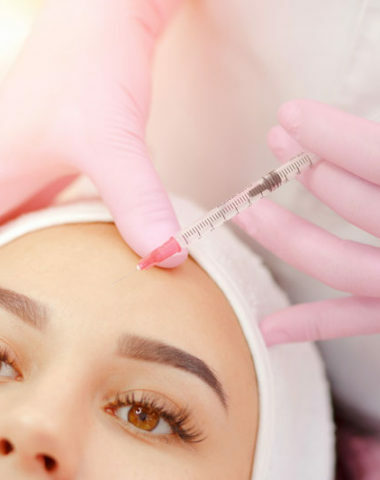 Below are some frequently asked questions about injectables, but if you have concerns that aren’t addressed here, please feel free to contact us. Injectables are substances, natural or synthetic, that are injected into the face or neck to reduce the impacts of aging. Injectables can treat hollow or gaunt facial areas, as well as creases, lines, and wrinkles. 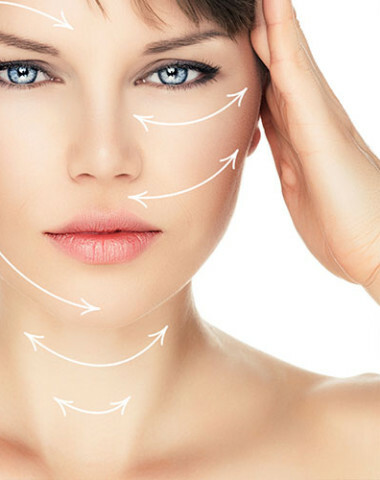 Our injectables include neuromodulators, dermal fillers, and Platelet Rich Plasma (PRP). Am I a suitable candidate for injectables? If you are in good physical health and wanting a subtle improvement in your skin and you have realistic expectations, you may be a suitable candidate for injectables. The best way to find out is to book a consultation with us. .
Do injectables hurt? Will I receive anesthesia for my injectable filler procedure? Injectable treatments cause minor, temporary discomfort as well as swelling and bruising. We may use a local anesthesia, a topical anesthetic, or a numbing agent for your procedure. Injectable procedures are quick (15 to 45 minutes). Because we are using a needle to inject the fillers into your skin, you may experience discomfort during and after. You will likely require follow up appointments, but the intervals are dependent upon your injectable treatment. Will there be a long recovery? Will I need to miss work? While you may experience some light bruising, swelling, or redness, the recovery is quick and you won’t need to miss work. You can resume your normal activities immediately after the procedure. If you experience any side effects, they usually resolve within one to two days. Are there any risks associated with injectables? Risks vary depending on the type of injectable you receive. However, some risks include anesthesia reactions, allergic reactions, bruising, numbness, redness, swelling, or discolouration. Ask your doctor about the specific risks associated with your chosen injectable treatment. Depending on the type of injectable treatments you receive, results may last anywhere from three months to two years. Most injectables are semi-permanent and require follow up treatments for maintenance. Our team is committed to working with you to develop a synergistic approach for enhancing your skin’s health and reducing the signs of aging. Dr. Rao has extensive experience and expertise in dermal filler injections in Edmonton. Concerned about first signs of aging? It’s never too late! At Rao Dermatology, we offer safe and effective neuromodulator cosmetic injections in Edmonton. Neuromodulators use a chemical called botulinum toxin type A which is injected into muscles. The chemical reduces the repeated muscle contractions from frowning and squinting over the years. You will begin to notice a visible smoothing of the creases around your eyes and softening of the lines on your forehead. Aging has a way of creeping up on us. It starts with faint smile creases, forehead lines, or crinkles at the corners of your eyes. Those wrinkles in your skin are a result of smiling, frowning, laughing, and squinting over the years; though smoking, sun damage, dehydration, and some medications can cause wrinkles as well. We can help smooth those lines out, for both men and women, by addressing the root of the problem: your facial muscles. 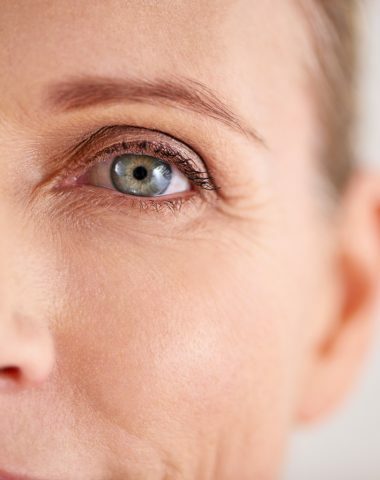 By injecting neuromodulators (botulinum toxin type A) beneath the surface of your skin, we can reduce the muscle contractions in your face, ultimately smoothing those creases and softening those lines, helping to bring back your youthful skin. A neuromodulator is a prescription medicine that is injected to prevent headaches in adults with chronic migraines. It prevents up to 9 headache days a month when it is injected every 3 months by your doctor. Neuromodulators treat the symptoms of severe underarm sweating when other modalities do not work well. Neuromodulator treatments can block the chemical signals from the nerves that stimulate the sweat glands, resulting in less sweating. We find that new clients to Rao Dermatology have a number of common questions about neuromodulator treatments that we address in FAQ shown below, but if you have concerns that aren’t addressed here, please feel free to contact us. Are Neuromodulator Injections a Painful Cosmetic Surgery? Generally, patients feel a simple pinch (similar to injections administered by family physicians) in neuromodulator procedures. In some instances, individuals experience tenderness around the injected area. If you anticipate discomfort, notify your dermatologist; he/she may recommend a numbing cream or ice for a soothing effect. Patients usually experience very little discomfort, but we can prep the areas with ice or anesthetic cream if you are concerned about pain. Using a very fine needle, Dr. Rao makes quick injections into the targeted muscles. After your appointment, you may return to work and other regular activities immediately, although we suggest that you avoid pressing on treated areas which may be a little sensitive at the injection sites. What Is the Average Time Per Treatment? Neuromodulator injections only take a few minutes and does not require anesthesia. You can squeeze a session in on your lunch break and still have time to eat. The average person, with moderate to severe wrinkles, will see visible results from neuromodulator injections three or four days after treatment. The neuromodulator will gradually improve until two weeks where it reaches its peak (this is when your skin is at its best). The effect will wear off over the period of four months and another treatment will then be needed. Although you will see visible results, a neuromodulator treatment will not radically change your facial appearance or make it appear like you have had “work done.” The muscle activity that causes wrinkles is temporarily reduced, but you will still be able to frown or look surprised. What Happens if I Don’t Continue Neuromodulator Treatments? If you don’t continue treatment, your symptoms (whether lines and wrinkles, migraine, or excessive sweating) will gradually return. Do ® Treatments and Dermal Fillers Do the Same Things? While both neuromodulators and dermal fillers are injectable treatments that are used to treat signs of aging, they work in different ways. Dermal fillers such as JUVÉDERM® are used to fill in wrinkles and folds from within the skin, providing instant results. Neuromodulator treatments smooth out wrinkles caused by facial muscle contractions, called dynamic wrinkles, and can take up to 6 weeks to reach full effectiveness. Are Neuromodulators an Option for Men? Both men and women can try our neuromodulator treatments. 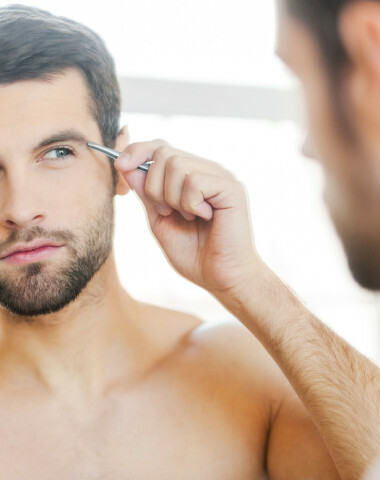 Men are becoming increasingly concerned about skincare and the physical appearance of their skin and neuromodulators are no exception. What Is the Cost of Neuromodulators? Neuromodulators aren’t just for the rich and famous. In fact, it’s relatively affordable and for migraine and excessive sweating patients, most health benefit plans cover part of the cost. Exact costs vary depending upon individual treatment plans. We’ll advise you of the costs for your treatment at your consultation. Am I a Good Candidate for Neuromodulators? Your health and well-being is our priority and the determining factor for receiving neuromodulator injections. We encourage our clients to consult with a physician prior to treatment. Yes. Neuromodulators have been approved for cosmetic use in Canada since 2001 and are safe when administered by a knowledgeable, experienced practitioner. Christian The ~ Edmonton. AB. Book your neuromodulator consultation with us at our Edmonton clinic today by filling in the form below.